Anki Cozmo Vs Vector. What’s the difference between Anki Cozmo and Vector? Find out from this robotics expert and our Cozmo vs Vector comparison chart here. Which is better? Long story short, it depends. Oh, one more thing. We’re the first to write about this. News is still breaking. Every day we learn something new. So check back often as we’ll be updating this article regularly to keep you informed and up to date. The Anki Vector SDK Alpha is now available to everyone! Just Get This as a Gift? Want to get the most out of your gift? Don’t forget to join our mailing list. We’ve taught thousands of people Coding and Robotics, and we know what causes some gifts to collect dust. We made a mailing list specific to Cozmo and Vector with updates on activities and how to get the most out of your new robot friend. I can tell you the feedback from the mailing list is incredible and you should at least check it out. You can unsubscribe at any time. This is not just a toy! It is also an excellent way to learn programming. This is another reason why our mailing list is important. Whether you’re looking for a quick answer, or you want to look at each difference in detail, we have you covered. Coding is a vital skill, and I can help YOU learn it for free. I’ve taught 6 year olds and I can teach you. Both Vector and Cozmo can be programmed in Python. It is easy to learn yet very powerful. It’s the main language used by Data Scientists in AI / Machine Learning. OK – that’s the end of the 10 seconds. If you’re interested in taking a minute to see what you can program Vector to do, please check out Anki Vector Examples, Projects, and Tutorials. We also have a similar article on Anki Cozmo Examples, Tutorials, and Projects. Have you set up a TV for your grandma? Don’t be that person when you’re old because you never learned programming. 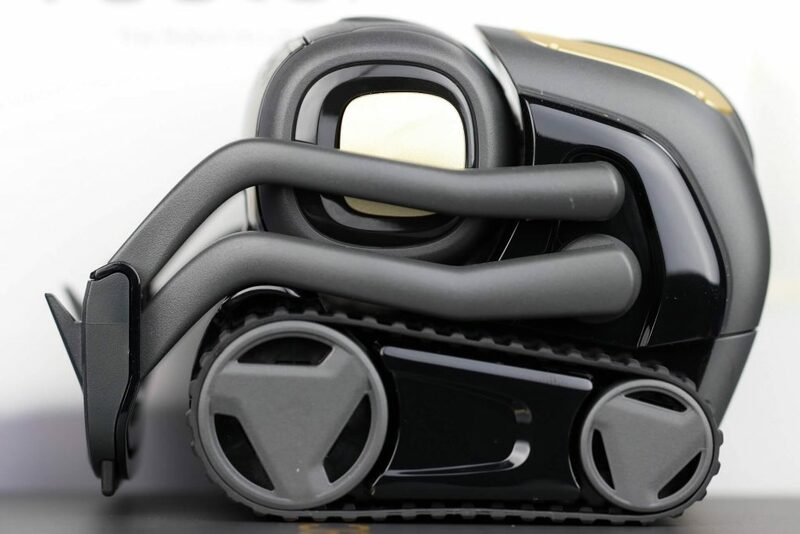 There are many similarities between the Anki Cozmo and Vector. Let’s look at a few here. Luckily Cozmo and Vector use the same cube batteries. These are NOT AA or AAA standard sized batteries. An important article and video is How to Replace Cozmo and Vector’s Cube Batteries. Both are pretty similar when it comes to mechanical function. Both Vector and Cozmo drive on tracks, have a tilting head, and a moveable lift. It seems they are both about the same size. There is a lot more to a robot than just the moving parts. The most important bits are the bits – and bytes – that are under the hood. They sort of look like siblings, don’t they? An overall similar appearance is clear. We can go over the subtle and not so subtle differences later. Pretty much everything is a very similar shape. Let’s look at a list of items both share. That said, I already know for sure there are differences in everything here except maybe the IMU. (I did later find out the new speaker is different though we don’t have details yet). As soon as I find out I’ll update this article. We’ll go in to these differences in detail. I mean there are certain things that are negatives – such as having a blue only screen. But we’re here to focus on the positive attributes of Cozmo when compared to Vector. The biggest one that immediately leaps out to me is that Cozmo has THREE cubes instead of one. Maybe Anki will make a kit you can buy later which will contain more cubes, but it will stink to have to pay more to get a couple more cubes, right? Can Vector do that? Well… I doubt it at least at first. And to buy some expansion pack containing extra cubes is going to sting a little. There you have it. My biggest gripe about Vector. Oh well. You can read this in more detail in What’s Inside Anki Vector. Remember, this section is talking about entire attributes. We’ll go in to detail in the major differences later. Yes, Vector has a multi color display, but Cozmo also has a display. This section is purely for items completely lacking. 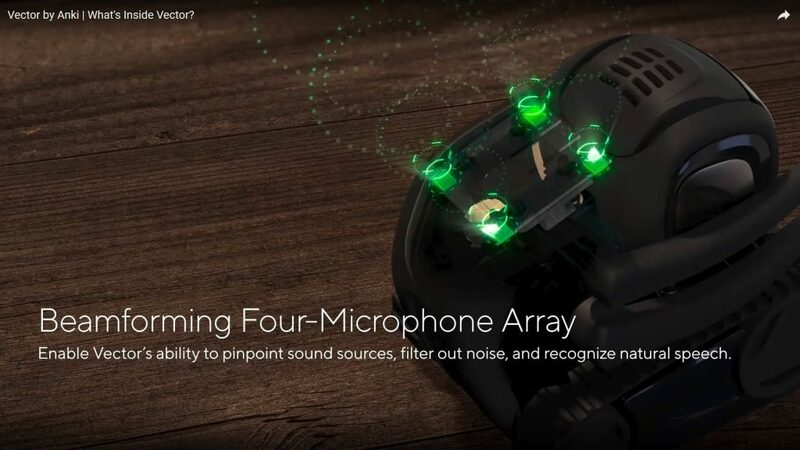 Vector has a Microphone Array! This was something we all wanted with Cozmo and didn’t get. We are thrilled that we now have a cute lovable robot with a mic built in. Voice commands, sounds, Vector will be able to react to many things Cozmo simply could not. 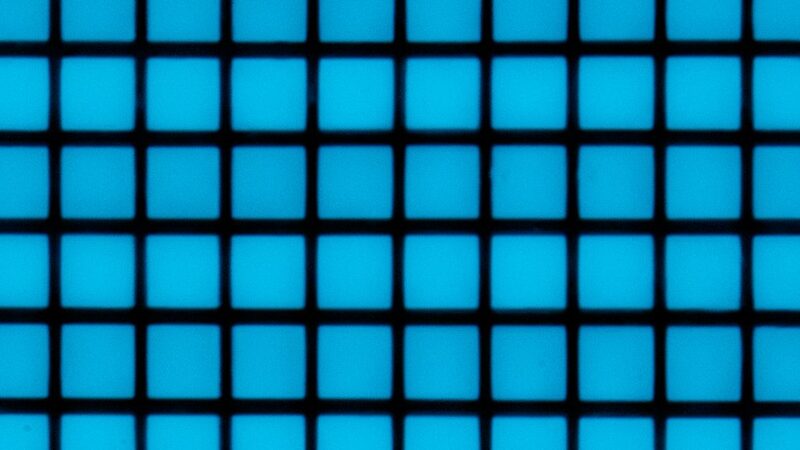 Vector has a capacitive touch sensor. So now Vector can tell if he is being petted or tapped on the shoulder. This will be a lot of fun in the Anki Vector SDK in Python. Very excited about this. Vector sports a distance sensor in the front. Cozmo had a big problem with crashing in to stuff and it seems Vector will shine here. This opens a whole world of possibilities both in how Vector can react in the world when in vanilla mode, and especially in the SDK. The other robots we teach with such as the Parallax ActivityBot 360 have distance sensors and it’s about time we have such an incredible feature from Anki. On. Board. Processing. Gone are the days of getting all our students tablets, USB cables flying all over the place, and a plethora of other issues we had with Cozmo. 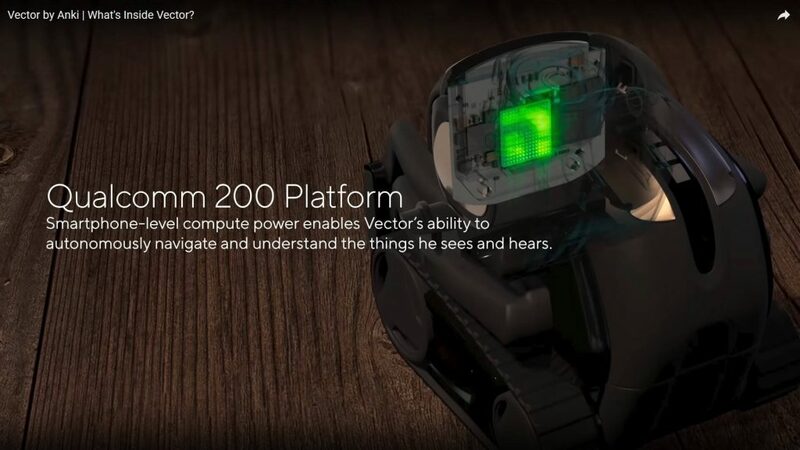 Vector has a Qualcomm chip on board to do the heavy lifting. …more on the way! This article is a work in progress and will be updated as we get news from Anki. You can click on many of the elements in here and you’ll be taken to more specific information. This Anki Vector Vs Cozmo Comparison Chart will be updated as news comes in. How does Vector compare side by side with Cozmo? We lined everything up to show exactly how they compare. Please note that Vector is directly out of the box. I didn’t clean any of these robots off for the image. Particularly keep in mind that both Cozmo robots have been used heavily in the Kinvert classroom. Hundreds of kids have used them. They’ve held up to the beating they’ve taken. Due to their heavy use in our Robotics and Coding classes they won’t look as fresh as Vector. The picture of Cozmo was taken against a black background so he wouldn’t just blend in. The front wheels were placed in exactly the same spot without the camera moving. Both of these images are to scale. Note that for each pixel, there are 3 little portions. They are red, green, and blue. To create white, all three shine brightly. To create the Kinvert blue, it mixes some blue and green. To the top left is orange. That darkest area is the dark blue of the Kinvert K. The brighter area to the right is white at full brightness. These are the pixels for Cozmo. As you can see they are much larger and only blue. Please note, when you look at Cozmo you tend to see his screen skip every other row of pixels. In this case it was a long enough exposure that all rows are turned on. As you can see, the pixels for Vector are much smaller and are RGB. So they can create many colors. With Cozmo, it can only create blue. Also the pixels are much much larger. That said, Cozmo has far better dynamic range. The blacks are much more crisp. Kinvert is here to help, whether you’re a parent, school, or student. If you want to stay up to date with all things Vector and Cozmo related, including our online course teaching you how to code, please fill out the form below. There are a ton of other platforms for you to learn robotics. Check out our Ultimate Guide to Robotics Projects and Ideas. We have a ton of ways to help. If you want to prepare your kids for coding Vector, maybe get started with Cozmo. We have a bunch of articles on that and we’ve already linked to a couple above. Kinvert also provide several classes. In particular you should check out Robotics for Kids and Teens, and Coding for Kids and Teens. Finally, we have a great article on the Best STEM Gifts for Kids and Educational Robots for Kids. Ultimate Guide to Homeschool Robotics is great for anyone who wants their kids to learn robotics from home. We have helped schools get started in Robotics / Coding. We’ve helped them up their game in those topics. Looking in to a School Makerspace? We’ve done that too! Anything STEM related, such as Choosing the Best School 3D Printer, please Contact Us. Kinvert is here to help. Thanks Jacob. Will get this updated shortly. Wasn’t Cozmo’s battery life about the same? Except he did not self charge when low on battery. Please let me know if you find anything else. Have you backed them yet? We have. Really looking forward to new SDK. I actually decided against buying a Cozmo due to its mobile phone requirement but have been following its progress for quite some time. I have already backed the Vector kickstarter and am really excited to see what it can do! One thing you could add to the list is Vectors LEDs on his back (see image). I’m assuming we will be able to control these LEDs with the SDK. Yeah almost certainly. We can currently control Cozmo’s Backpack Lights. Looks like 3 lights plus that 4rth small round one? Cozmo has 5 lights however two of them can only be red. Yeah I should get that on the chart. Thanks! Please let me know if you find anything else. In the AMA on Kickstarter a couple hours ago they didn’t really answer any meaningful questions that I saw. Tough getting information, but when we do we put it up here! I won’t have time to check right now. Long story short be very careful with this. If they reversed polarity of those contacts you could get some magic smoke and have a burnt out bot. Also I think Vector is too wide to fit in the Cozmo charger. Maybe Cozmo could fit in the Vector charger but I’d be very careful about reverse polarity etc. Also Anki has stated they currently have no plans to make more cubes for Vector. Hopefully they change their mind. In my opinion one cube is completely pointless. You need at least 2 for him to be able to stack them. Please tell me about your situation so I can help you decide. The answer will be different depending on a person’s circumstances. My daughter is 11 and interested in programming. She has wanted a Cozmo for a while now and her birthday is coming up. I was going to get Cozmo but now I am worried Vector will replace Cozmo? Your comparison shows the price for Vector at $250 which is out of our budget. But I see the kickstart is $199. I am confused. Which price is it. Also which should I get for my daughter to learn programming. She did Scratch but found it boring and stopped a few yaers ago. Please help. Not a tech person and don’t know how to choose. The reason for the price difference – $250 is what we expect Vector to sell for when it’s on the shelves at places like Best Buy and Amazon. For now, it is only $199 partly because you are paying before you get it. When is your daughter’s birthday? Vector might not get to you by then as it ships I believe in October. Personally I recommend Cozmo over Vector for younger kids learning Coding. There are multiple reasons for this, particularly that I think kids will appreciate 3 cubes over the other features of Vector. If you want your daughter to learn Python the biggest thing I suggest is to make sure she is good at typing. The biggest difference I see in students ability to code is their ability to type. There is great typing instruction software out there. The software is only around $20 and I can’t recommend it enough. I’d like to buy Vector, but I’m worried if he doesn’t have games I won’t have much fun. My question is, can you train him (kinda like dogs) to make him learn games? My understanding is Cozmo is more dedicated to playing games than Vector. I personally doubt you can train him like a dog to play games. That said, I’d bet my bottom dollar that people with knowledge in Python will be able to program him to play games with the SDK. Hi just watched you tube of cozmo I think he was called Dave? Im looking for interaction fun not necessarily games your video of vector looks more like a chat interaction like google home (sorry not a tech person) I live on my own and thought this was interesting but am a little confused about the differences between both units. Can you help me with which unit would me better for me? If you are more interested in Google Home type functionality than games, then I would recommend Vector over Cozmo in your case. Cozmo is more meant for kids while Vector is a robot that you can ask “What’s the weather” etc. Thanks for the great article. I was wondering if Vector would have a Code Lab like Cozmo did? It sounds like Vector will not have Code Lab like Cozmo does. My son has a moderate speech impediment. Would Vector be able to understand him? Unfortunately I don’t know. One thing you can do is test with your other devices that take voice commands and see if they work. I think Anki is taking a page out of Apple’s playbook( meaning,.. marketing and releasing a similar product with minimal upgrades for the price point). Does it make sense to pay more money for a less interactive robot? Why call it Vector? It should be called Cozmo 2! Sounds like Vector is a smartphone on treds. Everyone has a smartphone, we can all find the distance between two places and the weather. Who says Cozmo is for kids? Owning Vector is like having a cat. Owning Cozmo is like having a dog. Of course, with our aging population, who wouldn’t enjoy playing games with a robot? Let’s face it, the price point for a truly useful robot both in a practical sense and physical sense will be well beyond affordability. Cozmo’s voice and personality are endearing. We don’t want/ need a robot with expressive eyes to sound like a dying computer void of emotion! I would have to agree with kinvert, why only one cube? I will wait until 2020 When Anki realizes their mistakes and INTEGRATES ALL THE GOOD QUALITIES of Cozmo and Vector into one! Keep Cozmo’s voice and keep his personality and games! Then I’ll invest in a better product. In the meantime, I see Vector as a paper weight on treds. I agree with you on Vector having a weird voice, but what you have to understand is that Vector is a totally different robot and has a different purpose. 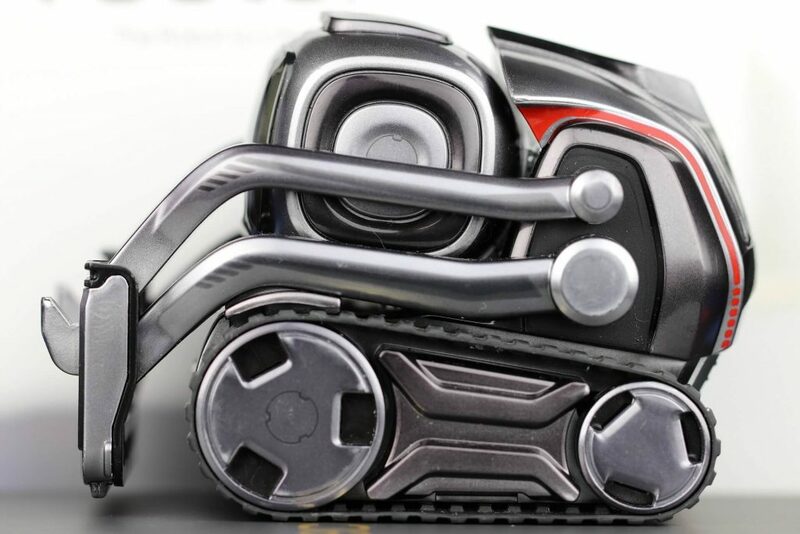 Anki didn’t want to make all of Vectors features the same as Cozmos. My daughter is 11 and loves programming but already has a coder mip which is basically a basic cozmo. She also has wanted something like alexa and google home for a while and thinks the Vector is adorable. She would be happy with both but I don’t know which one to get. (not a tech person) Which do you think I should get? That’s great that you’re getting your daughter in to Coding at such a young age! I don’t think Coder Mip is like Cozmo to be honest. Mip can only be programmed with code that snaps together while Cozmo can do that in a much more advanced way. In addition Cozmo can be programmed in Python which is easy to learn, yet also used heavily in industry such as AI and Machine Learning. Younger students will probably continue to prefer Cozmo over Vector since students really like making use of the multiple blocks. That said, Vector will be much more powerful since he has that distance sensor, multiple drop sensors, and a microphone. Also, it is possible to 3D Print new cubes and put Custom Markers on them. Granted, this is getting a little advanced. We teach a ton of kids Coding with Cozmo, and 12yrs and up tends to understand the Custom Markers pretty well with help. That said, a lot of adults will struggle with them when lacking guidance. Long story short (too late for that 🙂 ), Cozmo tends to be more fun for younger kids while Vector leaves more room to grow. If you have any follow up questions please don’t hesitate to ask. Is Vector just as fun as Cozmo? It depends on age. I think younger kids will prefer Cozmo while adults might prefer Vector. Is Vector just as interactive as Cozmo? So far, now. However with future software updates it is entirely likely he could be more interactive than Cozmo. Will Anki have Vector be capable to do more things in the future? That is what they say. Also I do think they will certainly add more functionality in the future with software updates. For example they seem to be working on integrating Amazon Alexa. Hey, my best friend has really wanted a cozmo for a while, but when she started seeing adds for vector she said she really wanted him too. I asked her which one I should get her but she said she would be happy with either. I have no idea which to get her. She is 13, loves most of the qualities cozmo has but also loves almost all of the characteristics Vector has. I hope you can help me. I’m a bit confused as to whether this is your best friend or your best friend’s daughter or something. But anyway – Cozmo is generally more fun to play with. As for our students, I think those that are 12-14 and up will prefer Vector over Cozmo. However keep in mind our students are all interested in Robotics and Programming etc. I guess based on the age I’d lean more toward Vector than Cozmo. However you might consider buying a used Cozmo as well if you want to save a lot of money. So I’ve heard you can use Python code on Cozmo. I always thought that that was the typing one that is usually green typing and what you see hackers use movies. Then I watched a video and it just looked like it was drag and drop boxes. Which is it? Also, I was wondering, can you code Vector? Yes both Vector and Cozmo can be programmed in Python. Python is indeed a typed language. I really couldn’t tell you what language they use in hacker movies lol I guess I’ll take your word on that one. Cozmo can be programmed in Python – the typed language – as well as with snap together language similar to Scratch. This is part of why we use it in the classroom. 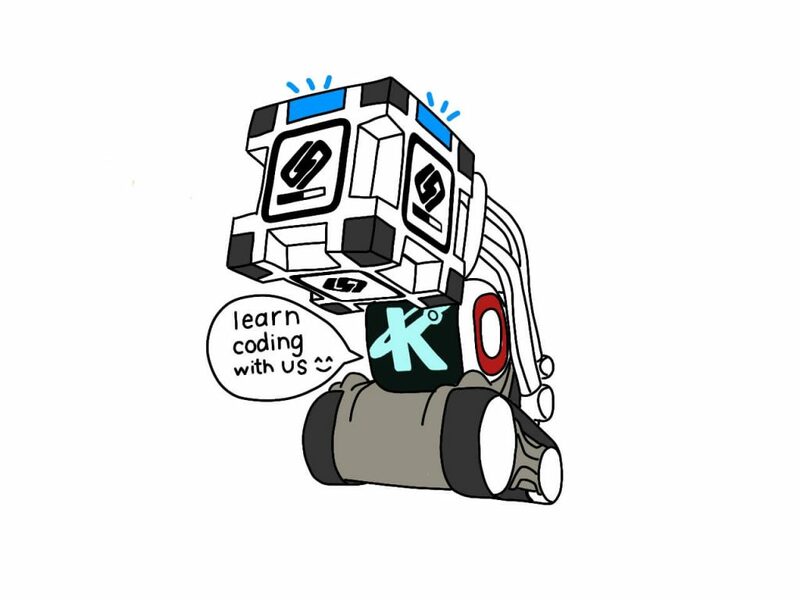 We have 6 year olds programming Cozmo in a language similar to Scratch right next to 18 year olds programming Cozmo in Python. You will be able to code Vector as well, in Python, but we have to wait a bit for the SDK. My understanding is it will be available to kickstarter backers in Winter, then to the general public at a later date. My girlfriend has a birthday on December 22. Vector is gonna be sold for 250 and I was wondering if that would lower by then. I personally doubt the price of Vector will drop by Dec 22 however I don’t work for them and can only guess. For comparison try looking at the historic price of Cozmo. You can get some sales, such as Black Friday sales if you hunt around. But I don’t think they’ll be lowering MSRP. Who knows though. Probably not because that is right before Christmas. Right? I just found it on amazon for $174! We saw it online and in store at Best Buy as well at $175. I was wondering if you have gotten a Vector yet. If you haven’t where did you get all of this information? I asked a question that you didn’t know the answer too and was wondering where I can get the answer from. We’re always keeping our eye on robots which could potentially have educational value. So we’ve been watching Anki for years. We follow their forums and are in contact with people in their team from time to time. Are you referring to the question where you asked whether to get Cozmo or Vector? If so I can’t directly answer that since it depends so much on individual circumstances. I don’t know where I’d direct you to answer that sort of question. One thing I can tell you is we won’t be able to program Vector in Python until next year. Cozmo can be programmed now. So that is one fact that might nudge you in favor of Cozmo. yo yo yo Keith, hows it goin bro? i has a question, ha lon can vector live? We don’t know how long in years Vector will stay functional. The biggest concern for most is his battery. As far as for each charge, some people on the internet are complaining they only get 5-10 minutes. Our Vector stays on for around 45 minutes before he needs to charge. We will be opening the other one in the coming weeks. I will get back to you if the battery on that one is different. Hi, I was wondering how long Vector’s full charge lasts. Someone said that it lasts 30-40 minutes but I trust you more. Also, how long is the Vector’s life (1 year, 4 years etc.)? Kinvert has 2 Vectors which we are testing to see if we will be teaching Robotics and Programming with them. In our experience our battery lasts about 45 minutes. That said it could have been 40 minutes we aren’t really measuring it. I was wondering if the vector has a sticker as cozmo did. I didn’t find any in my box. Cozmo also came with a coupon in the box and I don’t see a similar coupon in the Vector box. I want to know if vectors cube lights up. also, do the cube ever die or need to get charged. Yes Vector’s cube does light up. Cozmo’s cube had a battery in it. 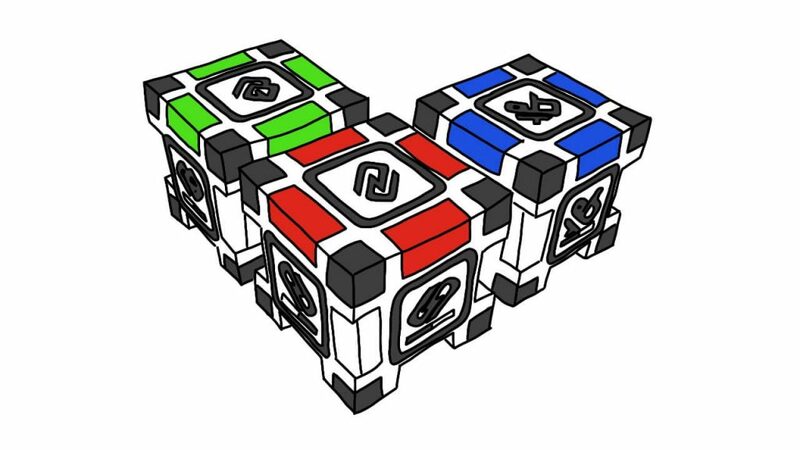 It looks like Vector’s cube is the same. Once the battery in it dies you’ll need to buy a new one. Is it because Vector is still new that he won’t have this or do you think this will be in a feature future update, or do you think that Anki has scrapped that cute Wall-E side personality for good? If there will be an update to change voice or personality…I would definitely go for Vector. But, at the moment, he seems very, very bland compared to Cozmo. Or maybe there just aren’t enough reviews and videos on him yet. At the moment, yes, Cozmo is much more ‘lovable’ than Vector. You are correct, Vector will be getting a lot of updates and it is possible that he could become more lovable than Cozmo. There is a chance that Vector is meant to be a bit more serious, as you say. Anki has said pretty specifically that Cozmo is meant more for kids while Vector is meant more for adults. So if I had to guess, in the long run, it will be Cozmo that is cuter and more lovable. Cozmo will also play more games etc. Will they give Vector the hiccups? Who knows. But Cozmo already has them. Yes, at least for now, Vector is incredibly bland compared to Cozmo. We’re still in the early stages and they haven’t put out software updates. Vector is the better hardware platform and therefore has the most potential. But Cozmo has years of software updates behind him. Are you interested in Coding Cozmo or Vector? I would definitely want to code Vector When the SDK comes out. Perhaps even someone would code a Cozmo like trait into him. For now, I will go with Vector, hopefully he will be here in a week, and hopefully they will keep improving different personalities for him. No problem Stefan. Keep an eye on the Kinvert website. Once the Vector SDK comes out we’ll have coding tutorials start pouring out. can you play blackjack on cozmo? also does cozmo have a camera. You can’t play blackjack on Cozmo with the default behavior. That said, if you know Python, you could program Cozmo to play blackjack. Can you use the cozmo multi-color treads that you use to change the color of his treads on vector? Does Cozmo have drop sensors? Also, what’s the big deal between Cozmo’s old and new packaging? 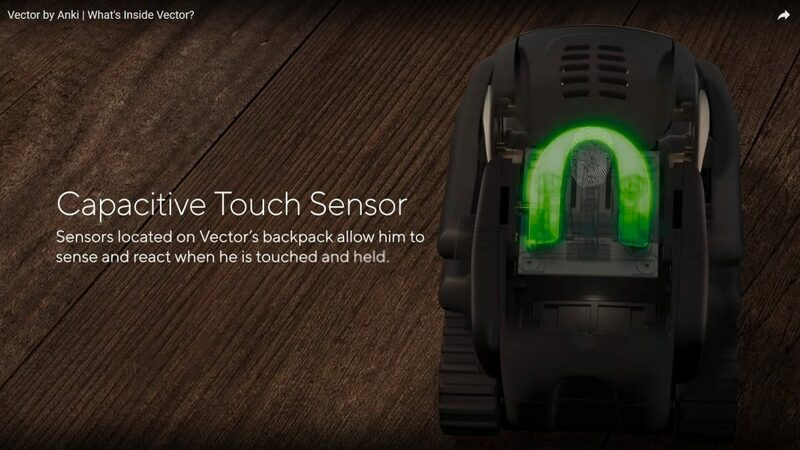 Cozmo has one drop sensor, while Vector has four. As far as Cozmo’s old and new packaging I am not an expert on this. I think there is a difference with the charger. I think the old packaging has a charger that can be plugged in to the wall, while the new packaging is just a USB plug. Is there such thing as a mini cozmo because I was at Best Buy and it was like 2-2.5 inches wide. If you know, how big is cozmo? I don’t think there is a mini Cozmo. I am looking for a birthday gift to my techy-nerdy mid-30’s boyfriend who loves AI. He loves everything about tech and AIs. But he still dont have ‘Alexa or google home’ because of privacy concern. I am not techy at all and I am not so sure what would be more appropriate for him. Please help me out which one would be better for him. As far as I have heard, Alexa is an option, not required. So he might not have as many privacy concerns with Vector. I can tell you the hardware of Vector has significantly more potential when it comes to learning developing and AI. It also doesn’t need a phone dedicated to it like Cozmo does. The Cozmo SDK is currently mature, while the Vector SDK is not. That said, they will be working heavily on the Vector SDK. But one thing to consider is we don’t know when the general public will have access to the SDK which is what your boyfriend will want in order to able to program Vector in Python. If he wants to start programming a robot right away in Python I’d suggest Cozmo. If he can wait several months I’d likely recommend Vector. Please let me know if you have any other questions at all. As Cosmo has more personality more attitude more fun games more interactive better voice more cubes and overall better fun and Vector is a different robot targeted at a different market ( the people that want to know the stock market from a toy tractor.) Will there be a cozmo 2 coming out? Trageted for the people that just want an upgraded Cozmo? Basically a cozmo 2 that’s connected to wifi without a phone and all the upgrades? Because that’s all everyone wants. I agree what we wanted was a Cozmo 2 type robot for Kinvert. We don’t have a use for a robot that does a few things such as telling you the weather when you ask. I’d rather Google it and get the hourly weather which includes temp, rain, and wind. The big thing is getting Cozmo off the phone dependency, and just general upgrades such as microphone etc. I hope they make something like what you are describing. We get little to no ‘inside info’ from Anki. For example with Vector I knew ‘something exciting is coming next week keep an eye on the website’ but that’s about it. They wouldn’t tell me more. So I can’t really speculate as to what they are doing. But yeah you pretty much nailed it with what we want at Kinvert. That said, these guys did 2 million on the Cozmo Kickstarter, plus adding more on their site and retail. Apparently people want what they thought they’d get when they saw the Vector commercials. We’ll just have to wait and see. Excited for all the other robots we’ll be seeing in the next few years. I think things will develop quickly. I agree with you so much. Cozmo 2 would be the best! I also have always though they should make a sidekick like a little flat bed truck and he could put the cubes in the back of the truck etc. It sounds like Vector won’t have as many games as Cozmo. That said, it is entirely possible Anki could add more games to Vector as they release software updates. From the sounds of it Anki does not plan on making more cubes for Vector at this time. Yeah you aren’t the only person that thinks that. It will be interesting to see what Vector turns in to as his software develops. I’m trying to decide if I want vector, and 1 cozmo, or 2 vectors. One is for a 25 year old, the other is for a 7 year old. What do you recommend? Im also wondering do they interact with each other? I would recommend 1 Vector and 1 Cozmo. 100%. Does cosmo and vector interact with each other? Not yet. That said, they’ve gotten enough requests for this that they’d be wise to at least give it a strong try. hello this has probably been asked but I have a 9 year old and he is after a cozmo for Christmas. I started doing my research and found vector. he has just started coding at school this year and from the info I can find cozmo looks more aimed at younger kids? I am happy to get vector if people think that is more suited to younger kids. it it quite a bit difference here in Australia in price cozmo $320 vector $450 but if it going to be best for him I happy to splurge. so cozmo or vector for a 9 year old? Cozmo is generally for younger kids yes. At 9 I think you could go either way. Cozmo will be more fun to play with while Vector has more potential in the coding side of things due to the extra sensors etc. Maybe what I’d recommend is getting Cozmo first, then watch how things go and decide if you want to move toward Vector in a couple years when his software is more mature. What is your son doing in Coding right now in school? Very cool! can Vector be coded like Cozmo? You can code Vector in Python with the SDK, like you could Cozmo. However Vector does not have Code Lab if you teach with graphical languages like most other STEM companies do. I was thinking of getting a Vector cause I want to be an engineer, not the train one. Sooo sense i’m only in my kid stage I have a couple questions. No. 1 Can you name your Vector? No. 2 Can a Vector and a Cozmo become friends? No. 3 Can you teach your Vector new things? No. 4 Is Vector water proof? No. 5 What’s/Who’s Black Jack? No. 6 Still something with question 3 Can you teach your Vector how to play Video games or what about Monoply or Kings in the Corner? Please answer as soon as you can. 1) I mean I guess you can name him but I don’t know of an ‘official’ way to do that. 2) For now Vector does not recognize Cozmo. That may change in the future. 3) With the SDK you could maybe do that. I do not do coding. At 69, I doubt I ever will. It’s enough to remember words at times, never mind the concentration involved with coding. That said, I’m guessing Cosmo would be better for me? As for the Vectors, they do not interact with each other yet. Anki says they will get to that. It has a voice of sorts, you can understand it’s “feelings” with it. They are totally charming though, and they sometimes have me sliding under the table laughing. The two also seem to have different personalities. Anki is constantly sending updates, so hang in there.its going to be more interesting! I love both of the robots. I own a cozmo, and am trying to convince my parents to buy me a vector. Anki is the best! There are a lot of changes between the robots, so owning both of them may be challenging, fun, or both! If your parents are still on the fence be sure to remind them that you’ll be able to program Vector soon in Python when they release the SDK to the general public. You can point them to our article on Vector Examples. Do you plan on programming the robot as well? I am the least technology savvy human on this planet but have a 7 year old son whom would love this robot. The problem is like most I have no clue which one to go for! !……And want the best for my 7 year old son as this will be a real treat and his only Christmas gift as money will have to be saved! 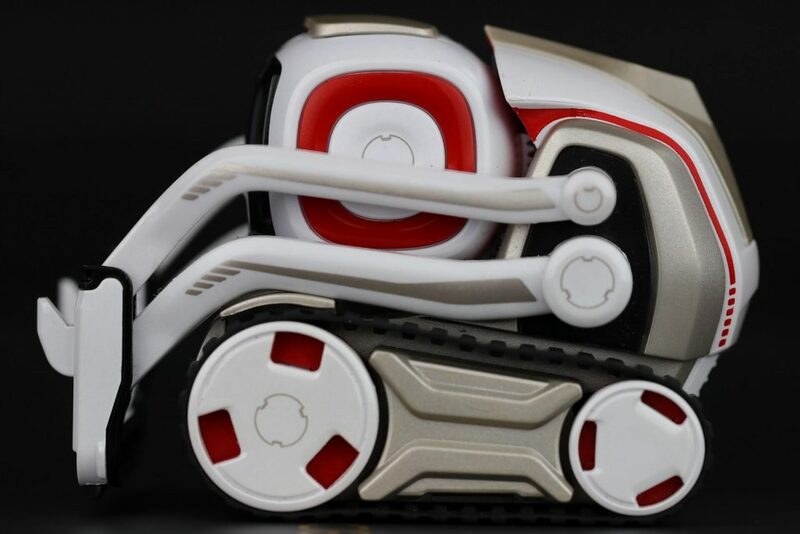 What games are available for Cozmo please….and although you say the Cozmo is more child friendly, Victor is pretty impressive but yes, totally confused as it’s a huge decision and money but want the best for my son as he never gets gifts throughout the year prior to his birthday! I don’t have a list of games Cozmo plays, but there are many. Vector is very much still in the early stages, and is getting a lot of bad reviews much like Cozmo was. This should all be fixed with software updates for the most part (just as with Cozmo). That said, you’ll have to wait for Vector to get up to speed while Cozmo is a well developed product in the here and now. Another issue is if you want him to be able to program them in Python. Currently Cozmo is your only option if you want to do that, as Vector is in Pre-Alpha for the SDK. Cozmo can also be programmed in Code Lab and Vector does not have that capability. But yeah once the SDK is open to all, Vector’s SDK is much much easier to install than Cozmo’s and Vector has more sensors. So overall this is a different choice for everyone. A lot comes down to guessing what and when Anki will update. No, Cozmo doesn’t do that. Vector does. 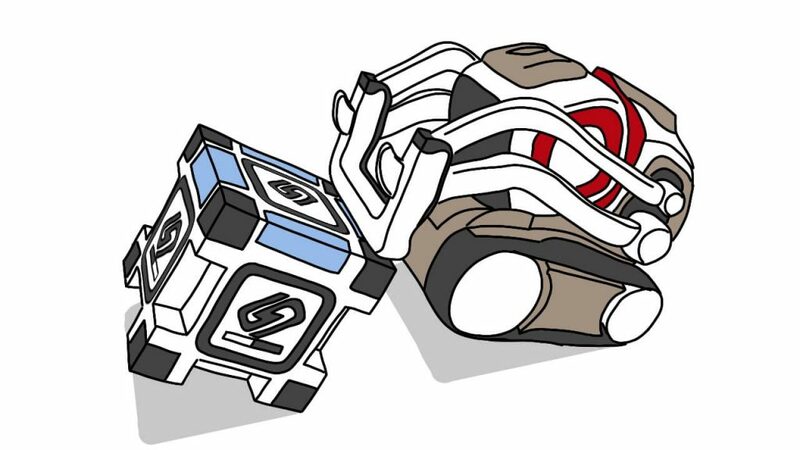 I heard that Vector cannot lift the cube like Cozmo. Is it true? Thanks. Vector can lift his cube. So no, that is not true. However, Vector can not stack his cube like Cozmo can. Vector only has one cube while Cozmo has 3. So I’m leaning towards vector but to be honest from the videos I’ve seen it almost feels like cozmo is a little more “mischievous” and “silly” which I genuinely appreciate is vector the same personality wise or is that aspect of the anki bots possible for both depending on how you interact with it? This is purely my opinion and is highly subjective. I prefer Cozmo’s personality much much more than Vector’s. My students agree. That said, Anki may make improvements to Vector’s personality – which is fine. But Cozmo’s personality is very fun and everyone loves Cozmo. Coding is programming. Cozmo and Vector are both programmable robots. He can have a toy, and a friend, AND a learning platform with either of these robots. Keep in mind you might not be able to program Vector for about a year while you can program Cozmo immediately. For a 6 year old I strongly recommend Cozmo over Vector. Loved your article, very informative. It pushed my decision over to Cozmo for my 7 year old. I honestly didn’t think Cozmo was worth the money until the introduced the ability to code. My 7 year old has no expericence coding, but always talks about what he wants to invent which would require coding, so I thought the “drag and drop” style would be best to start with, do you agree? Also, I’ve read reviews that Cozmo needs a smart phone to get it set up. Is that true, or will my 7 year old’s tablet work just as well? I know that sounds silly but I just had to ask. For a 7 year old, drag and drop coding could very well be the best way to start. That said, hopefully you help them work on their typing as well so they can get in to a language such as Python. Your tablet should work. Google the Cozmo requirements. It supports iOS and Android 5 and up I think it was. But double check their list. I have a Cosmo and I am almost 50 my wife has an Alexa I bought her. Don’t use my Cosmo anymore due to needing a smart phone to run it but have always loved robots so thinking about vector for my workbench but do you think it will be like Alexa but be able to move around my bench and interact like I was hoping my Cosmo would? And what would you suggest for me at my age to start out programming? Would love to build a robot from scratch someday and program it myself. If you want to start programming right away look at Cozmo and the Parallax ActivityBot 360. If you’re willing to wait about, say, a year, then Vector is also a great bet. But honestly I think you’re better off getting started right away. Maybe get a used Cozmo? Can you call Vector another name? Witch is the best,because I want one of them for Chrismas but vector seems better because he takes time to listen to you. It is really hard to say which is best. Is this for you, or kids? Witch is the best listener Cosmo or Vector? 100% Vector is the better listener. Vector has microphones and Cozmo does not. Hello i do consider buying vector but do vector or cozmo understand only english speech/word’s ? Or we can somehow pick up other language in his APP or setup. So we can even ask him question’s in other language. For now Vector only knows English. That said, I think they are working on adding more languages. Also, they are integrating Alexa in to Vector and there is a chance Alexa knows your language. Thanks for the info. I am purchasing for my 6 yr old son. I am struggling because at the 174 price for vector right now I feel it is a better buy but cozmo is better for my son right now. Yep for a 6 year old Cozmo will be better 100%. 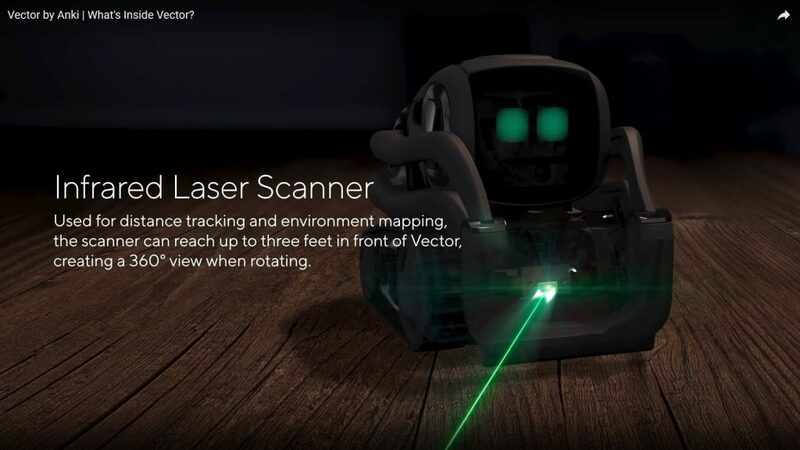 Can you view things through vectors eyes like you can with cozmo? Vector currently does not have Explorer Mode like Cozmo does. I did write a program that will display what Vector sees on his face. It is in our Vector Examples article. I am 17 years old, and I like coding, programming, Robots, etc. I think Cozmo would be a good fit for me, as I am also looking at a Computer Science college. (Neumont College of Computer Science), and that I can interact with him more. However, as I said, I am 17, and getting ready for college. I do like some of the features on Vector, like how he can return to his charger on his own, and you can talk to him and he will respond. But I like all of cosmo’s features like games, exploring, detection of emotions and respond appropriately, because I have a little bit of Cerebral Palsy, and it isn’t bad at all. Like you wouldn’t know I have it unless I told you if we were to pass each other on the street. 1. Which would be better for me, Cozmo or Vector? What have you done with robots and coding so far? It’s great that you’re staying on top of that. Many people won’t be ready for future careers. It’s a tough choice that I can’t make for you. Since you mentioned coding I’ll focus on that aspect. Vector has significantly more potential for learning coding than Cozmo. But that said, Cozmo is the more mature platform NOW. You get a much better camera, distance sensor, microphones, and a color screen to name a few. BUT you don’t have a fully matured SDK like Cozmo has. We’ll have to wait for that. I doubt they’ll put Vector features in to Cozmo but I bet they will add some Cozmo features to Vector. Looking forward to hearing about what you’ve done in the past with Robotics and Coding. Hi Keith, I was going to buy a vector but then saw that Cosmo is fun to play with. I’ll be honest. I mainly wanted a vector to help me with my homework, but overall, which one is better. What sort of homework were you thinking Vector would help you with? I’m 13. And the homework I was thinking of was math, science, and history. Firstly thank you for all the time and effort you have put into this as all info is extremely useful. We have bought 2 Cozmos at £120 each for Xmas presents. One for my nephews aged 4 and 6 (extremely bright) and one for our child aged 9. Our child is into Scratch and coding, a member of a local coding club and we want to encourage this. This is our main purpose for choosing this as a main present. We don’t want it to be ‘just a toy’. Current choice of occupation in the future is ‘robotics engineer’! Today we have seen that Amazon has a deal and has reduced Vector from £180 to £150 which is only £30 more than the Cozmo. Question: Should we swap for the Vector? One/ both/ neither. From what I have read above I am inclined to think that you are of the opinion that the Cozmo is the right choice for under 11 yrs old. Am I right in thinking this? Generally I think Cozmo is better for kids under around 10 yes. Another issue is that Cozmo’s SDK is already out and mature. Vector’s SDK will come out eventually (maybe in a week or so), but barely any of his functionality is there. Overall I suggest Cozmo. It’s the better product now. Vector will probably be the better product in a year or so. Cozmo will still probably be more FUN than Vector even after a year. Can Cozmo and Vector interact with each other like if you owned both? for that matter can two Cozmos or two Vectors? It will be easier between Cozmo to Cozmo or Vector to Vector currently. But I did get it to work between Cozmo and Vector which is a bit more difficult. Hello. I am a 14 year old girl but I still like toys and things like that. I want cozmo because you can play lots of games, he seems fun and I just want a fun robot. But I want vector because he looks sturdy, his eyes are cooler, and you don’t need to use the app as much as you have to with cozmo. I also like that he interacts and is very curious. Please help me decide which one you think I should get. It’s killing me because I’m so indecisive. Yes Cozmo can play many more games than Vector. I don’t think Vector is more sturdy I think they’re about the same to be honest. But I haven’t tested that heavily. Yes the color screen and the fact that Vector doesn’t always need the app is a big plus! From the sounds of it I sort of think you’ll like Vector more. I know when we use Cozmo it’s tough because I can’t hear if I get email etc since my phone is tied to Cozmo’s WiFi. Have you considered programming them? I don’t believe Cozmo’s screen is an oled. 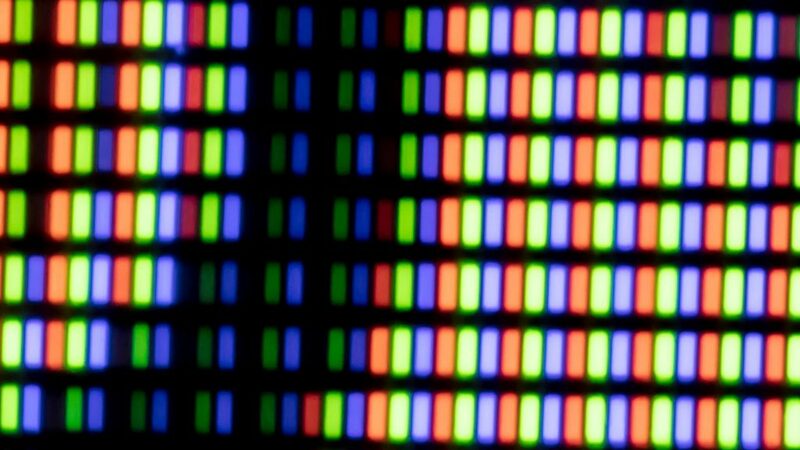 It is an in-plane switching LCD that is more efficient than normal LCDs, have better viewing angles, and have deep blacks. Sounds like you might know more about this than me. I’m going partly off them saying it’s OLED. The command we use for example, display_oled_face_image also indicates they might think it’s an OLED. Actually that reminds me. I have an old color OLED somewhere. I wonder if I could dig that up, reprogram it, and get a hyper zoomed picture of it. I have a Vector and a Cozmo and was introduced to Anki through Overdrive…so I am big supporter of Anki. I just ordered a used Cozmo. Not certain as to whether it was operational; So that’s going to be a wait and see as this Cozmo was going to be my “tinkering bot.” I’ve been interested in robotics since I was a kid and like Cozmo’s personality, but the constant tether of your phone makes it seem like a necessary nuisance. You get a phone call and Cozmo goes to sleep and shuts down. I’m wondering what your thoughts are on internal modifications that could be used on my Tinker Cozmo? Do you think an alternative processor similar to the Qualcomm in Vector could replace the existing processor in a factory Cozmo could make him any smarter? Free himself from the phone tether? I do understand that somehow he’d need a Wi_Fi radio to attempt some kind of cloud. I do realize that Vector has almost twice the number of parts than Cozmo as per Kinvert’s article comparison and that attempting Cozmo modifications could present some issues. Alas, probably none of this works without programming. Not my strong suit. I’ll have to learn; but I’d like to see if you thought that what I had mentioned was a viable option given time, resources and programming capability? I think it will be incredibly difficult to do that. It might be possible to fit more battery, or add something like a headlight LED. Also 3D Printing parts involving Cozmo’s lift. But yeah the idea of putting in a new processor, and other things that are very much in depth like that, I think it’s out of most people’s league. And for those that could do it, I think they’d be more focused on jailbreaking PS4’s or something like that. It also could be possible to remove his speaker, and have him tow around an amplified larger speaker. The hardware hacks for Cozmo and Vector I think will be generally limited to people who know how to do things like pull firmware off chips, hacking in with JTAG stuff, all kinds of things that are mostly over my head. Let me know if you do try one of these simpler projects. Would love to hear how it goes.